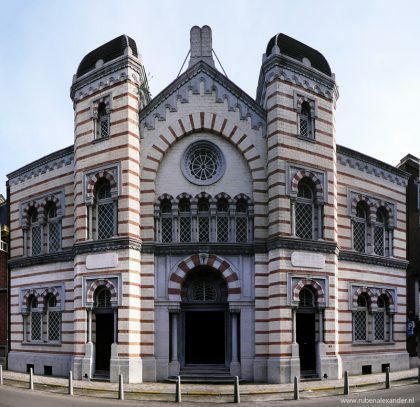 There is no trace of a Jewish presence in Liège before Belgian independence in 1830. Prior to that, Liège was still a principality directed by a prince-bishop. In 1914 the community, comprising Dutch and Alsatian Jews, was swollen by Russian Jews who had been taking prisoners by the Germans. Some of them settled in Liège from 1917. The international reputation of the École des Mines drew Jews from eastern Europe between the two world wars. Many of the city’s Jews have emigrated to Israel, and now only 200 traditionalist families remain.